More than a dozen distinct phrases and themes have been identified in whale songs. Researchers found humpback whales overwintering in feeding areas may sing “complex, progressive” songs which closely resemble those associated with breeding grounds. Humpback whales migrate annually between summer subarctic feeding areas to winter tropical breeding grounds, where males are known to sing characteristic songs which are linked to mating. But recent studies indicate some humpback pods may overwinter in their feeding grounds rather than migrating, raising the question of whether and how males sing in those circumstances. 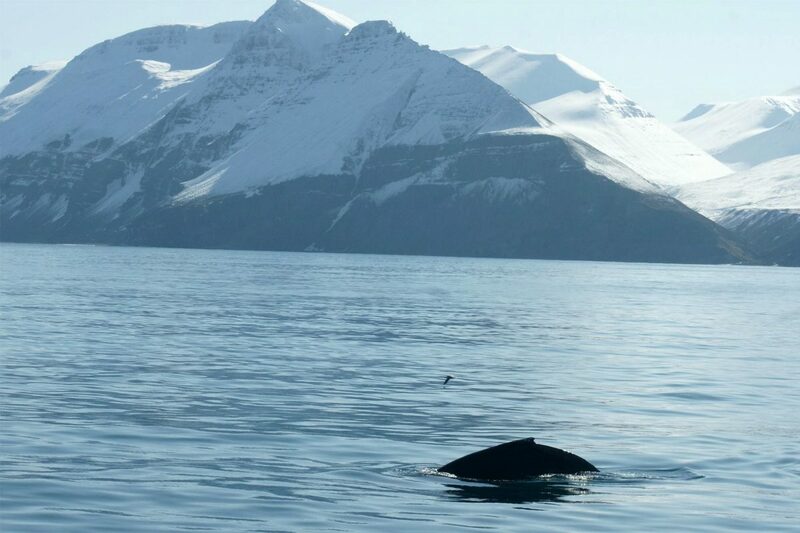 Researchers used acoustic recorders in the feeding grounds of Skjálfandi Bay in Iceland between January and March of 2011, recording the songs of male humpback whales which were overwintering here. Whale songs were recorded on 42 of the 46 recording days, producing a total of 70 ten-minute song files used for analysis. The researchers identified 15 distinct phrases and themes within the whale songs. They noted that the songs they recorded may represent a characteristic song type with a sophisticated structure and order of themes – and closely resemble the songs associated with breeding grounds. The researchers said song themes also appeared to evolve gradually over the recording period, possibly indicating the existence of song exchange and cultural transmission in the feeding grounds. The findings, published in the journal PLOS One, suggest that humpback whale singing is a more flexible behaviour than previously thought – and can occur at overwintering feeding sites as well as traditional breeding grounds. The researchers only used audio to record the presence of whales, and since female whales don’t sing, they couldn’t infer if females also overwinter at the site. If they do, humpback whales might also be capable of more flexible and opportunistic mating than previously suspected.